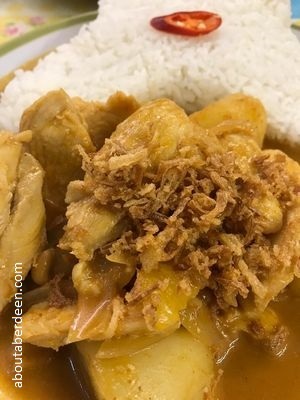 Tucked away in the Aberdeen Indoor Market is the wee gem of a restaurant, Madame Mew�s, which has the prestige of being the number one place to eat in Aberdeen from TripAdvisor. 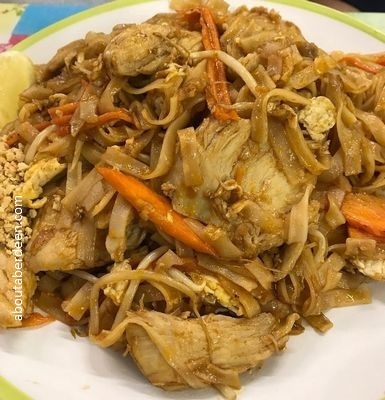 We are not surprised that the Madame Mew�s Thai Restaurant has been voted by readers as the best place to eat in Aberdeen, the food is amazing! Portion sizes are large and the prices are so much cheaper than other Thai restaurants. There is a real feeling of snugness which adds to its charm. 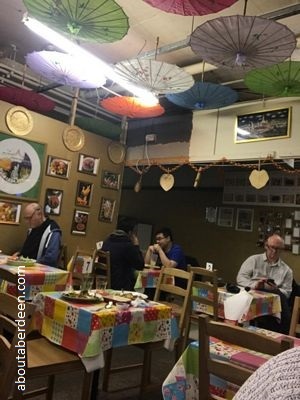 It is busy and noisy with happy and well-fed customers, and the service is super-fast � you could almost think you are in Thailand. Especially when you tuck into their pleasantly seasoned dishes. Sadly, it is not open in the evenings, the opening hours are dictated by those of the Aberdeen Indoor Market, which are from 10am to 5pm, Monday to Saturday. Access is from either Union Street or Market Street. The Postcode for your Sat Nav is AB11 5PA but we would suggest parking at either Union Square or Bon Accord Shopping Centre car parks. More Thai Restaurants in Aberdeen.